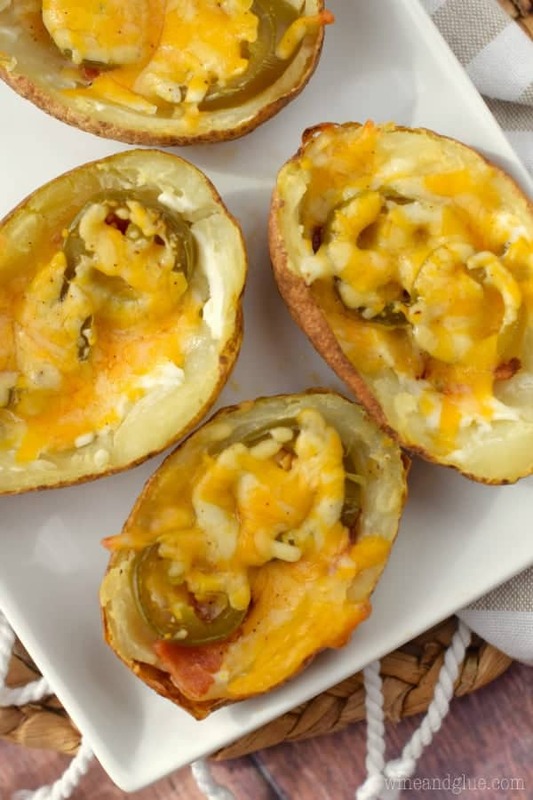 These Jalapeño Popper Potato Skins come together fast and are so delicious. They make a perfect game day snack! I’m writing this post with a very heavy heart today . . . in fact, I almost didn’t write it at all. I’ve actually tried for the last 16 hours or so to write it to no avail. 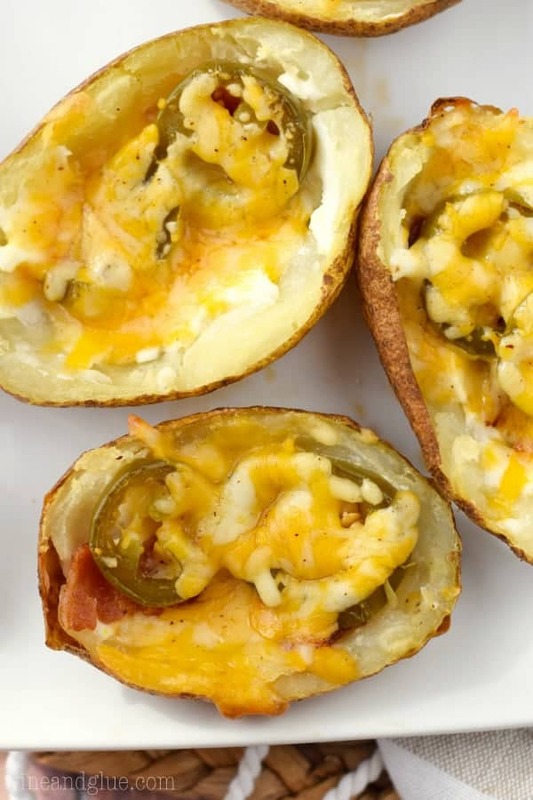 It just feels so wrong today to write about Jalapeño Popper Potato Skins. I learned last night that my good friend, Joan from Chocolate Chocolate and More, died suddenly in her sleep Wednesday night. If you aren’t a blogger, it probably seems odd that the death of someone who I only met in person once could impact me so much . . . . but it does. In fact, in scrolling through Facebook, I’m not the only one. Food blogger friend after food blogger friend are writing posts about losing Joan and how devastating it is. It’s moments like this when you really start to grasp what a tight knit community we are. We will be writing posts dedicated to Joan next Wednesday, which fittingly happens to be National Chocolate Day. And I’m sure if you follow any food blogs you will be hearing lots and lots over the next few weeks about what a great soul Joan was. As I mentioned, I thought about not posting at all, because honestly who cares about potato skins today? But then I thought about Joan and what a smart business woman she was. She would never want me to not post today because of her. 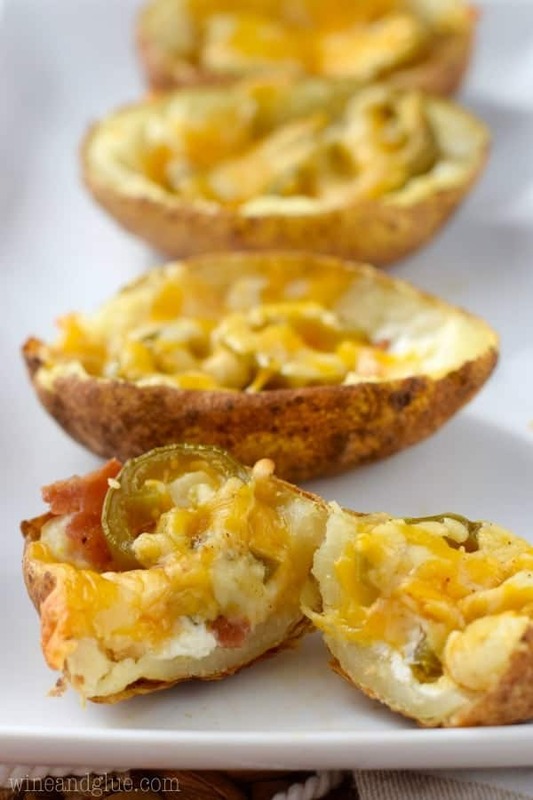 So make these Jalapeño Popper Potato Skins for some people you love this weekend. They come together super fast, but they are majorly delicious! And hug everyone a little tighter today. I am one who has known for some time that life can get turned on it’s head in a second, but things like this still hit hard. My kids are getting extra tight and smothering hugs today. And I’m saying lots of prayers and sending love to Joan’s family, especially her three kids. 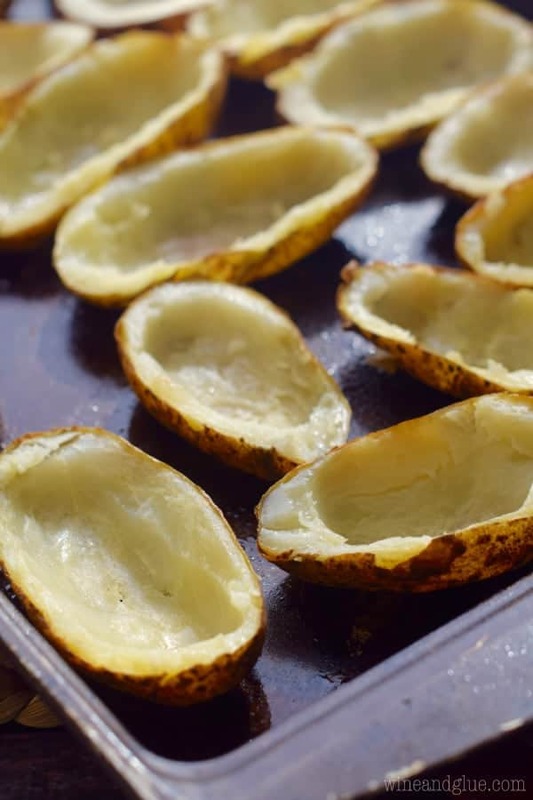 Bake your potatoes for about an hour at 400 degrees or until they are fork tender. Once cool enough to handle, slice them in half and scoop out most of the insides, leaving about a 1/4 inch of potato in the skin. Spray each side of the potato skin with cooking spray and bake for another 10 minutes at 400 degrees. 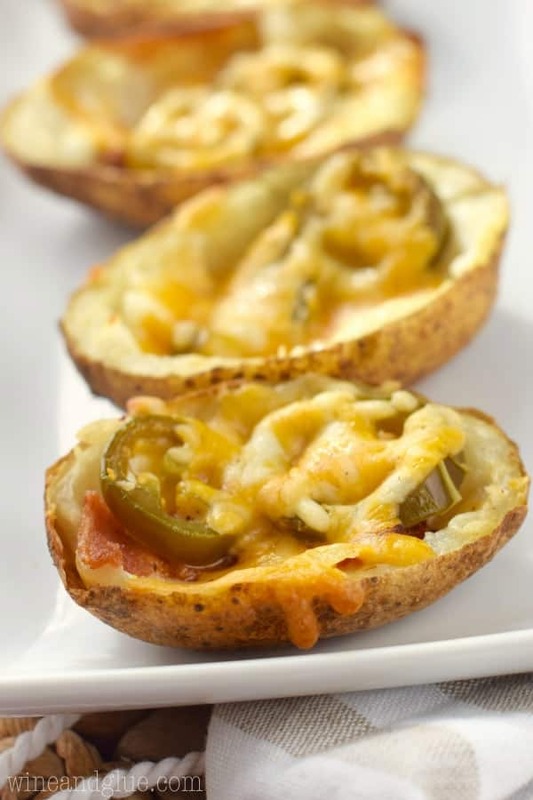 Smear a small amount of cream cheese in the bottom of each potato skin. Top with crumbled bacon, two jalapeño slices, and 1 TBSP of cheese. Bake for an additional 5 minutes until the cheese is melted. Serve immediately.